Join Emmet, Lucy, Batman and Unikitty from THE LEGO (R) MOVIE 2 (TM) on their new adventures in this exciting book for children learning to read. Packed with images of THE LEGO MOVIE 2 sets and minifigures, this book will get young fans hooked on reading. Exciting images, simple ... read full description below. Join Emmet, Lucy, Batman and Unikitty from THE LEGO (R) MOVIE 2 (TM) on their new adventures in this exciting book for children learning to read. 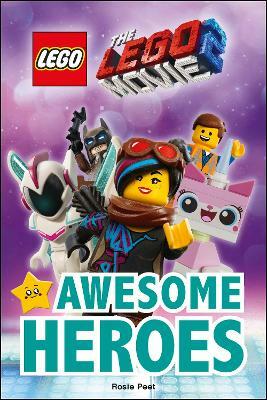 Packed with images of THE LEGO MOVIE 2 sets and minifigures, this book will get young fans hooked on reading. Exciting images, simple vocabulary, and a fun quiz will engage young readers, helping them to build their confidence in reading. Combining DK's four-level reading scheme with the popular THE LEGO MOVIE 2 theme, THE LEGO MOVIE 2 Reader is at Level 2 and will help kids learn to read-and to love reading.